Avid and novice golfers alike will find enjoyment and challenge on our well-designed 18-hole course. Designed by highly acclaimed golf course architect, Jim Engh, Minot Country Club has made waves in the golf scene throughout the region and throughout the golfing world. 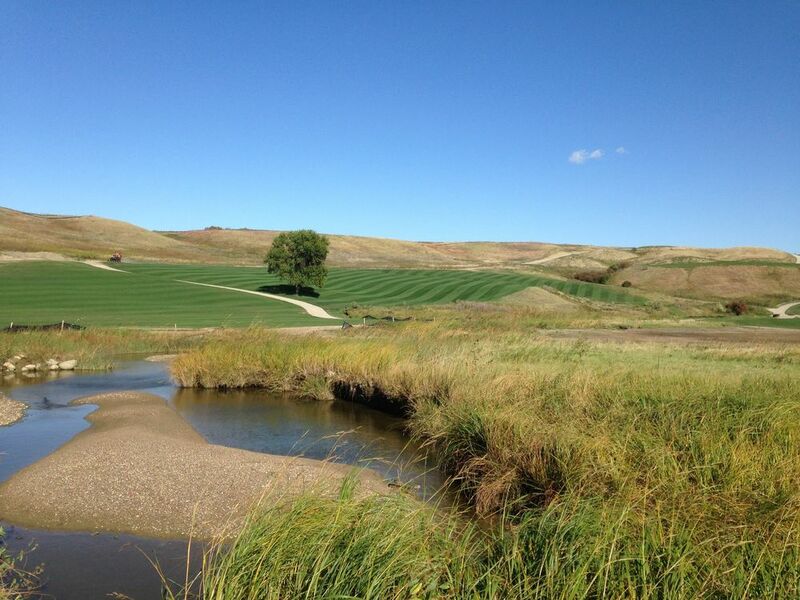 The Minot Country Club features seven sets of tees ranging from 4,485 yards to 6,870 yards. Our driving range and practice green provide an opportunity for every skill level to work on their game. Minot Country Club's commitment to providing the finest golf facilities for our members and their guests is unparalleled. Minot Country Club members and their guests enjoy a wide variety of golf activities including tournaments, special events, private instruction, men's and women's leagues, couple's events, fun-filled junior programs, and much more. Other services available include men's and women's locker facilities, bag storage, club repair and USGA golf handicaps. At Minot Country Club our professional and friendly staff provide the best possible golf operation, programs and services to create an outstanding golf experience. The Minot Country Club Golf Shop is the perfect place for assistance in golfing equipment, accessories, clothing and more. From novice players to professionals, we recognize each golfer is unique and requires individual equipment solutions. With equipment purchases, members have the added advantage of having a trained professional to properly fit clubs and give members pointers on how to improve their game.